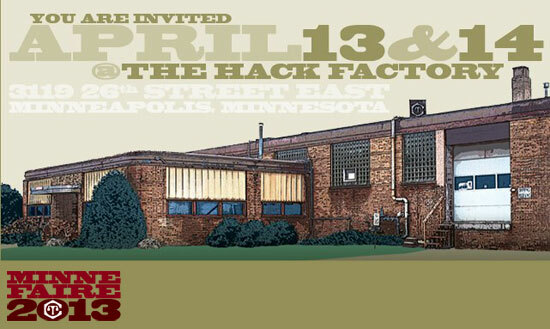 It’s been a busy past few weeks, and I never got to recap my visit to Minne-Faire and The Hack Factory in Minneapolis. 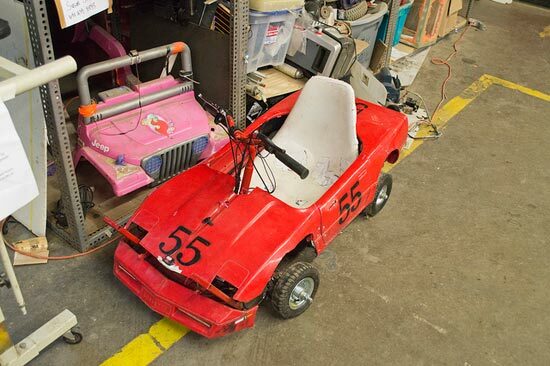 Our original plan involved Vishal and Matt W. from Milwaukee Makerspace taking Red Lotus to the faire for a demo race of the Power Racing Series. We certainly did bring the car, but with only one other car there, which was non-functional due to a bad charger, we ended up just doing a few demo runs and show it off. I also managed to get it up on two wheels, though without any video proof, which means I’ll have to do it again at some point. The other thing we brought was my Laser Kaleidoscope, which people seemed to enjoy. (I was also shamelessly asking for votes to get me to Maker Faire.) We had a table but really didn’t fill it with too much due to lack of space to bring anything big. We did give away stickers and buttons and showed some Power Wheels videos. 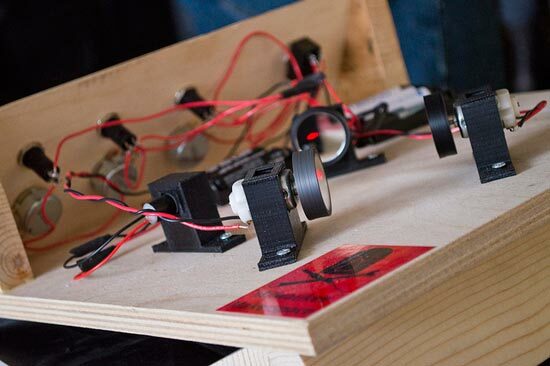 It’s always fun talking to people about the maker movement, so that was cool. The Hack Factory was a great space, with great people, and it was awesome checking out all the exhibitors and meeting many of the members. 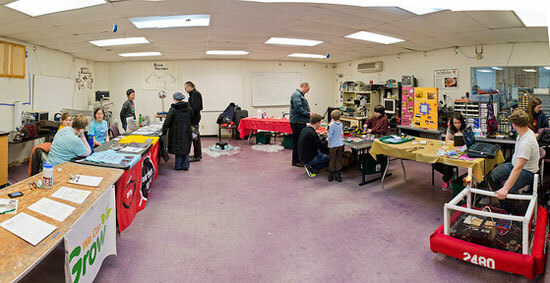 Hopefully some of them can make it down to Milwaukee Makerspace in the future. Oh, you can find some photos over on Flickr, and yeah, I still have more to edit and upload. If you’re looking for me this coming weekend, don’t look in Wisconsin, because I’ll be in Minnesota at the Minneapolis Mini Maker Faire commonly known as Minne-Faire! Since we’ve finally got Red Lotus working, we’ll bring that along for some Power Wheels fun. We’ll try to find some interesting projects from other Milwaukee Makerspace members to show off, and of course I’ve got a bunch or robots and lasers and weird things in my basement I can bring. And hey, if you see me there, be sure to ask for a special prize.